Yeast and mold are organisms of great importance to the food industry. These two species are very different from bacteria, which are more commonly associated with foodborne illness. Hundreds of yeast and mold species have been isolated from foods and due to their ability to grow over a wide spectrum of environmental conditions very few foods are entirely safe from fungal spoilage. At some point in our lives, all of us have observed some sort of mold spoilage – be it on piece of bread or on a peach you left sitting on your kitchen counter for an extended period of time. While not as easily visible, yeast are also troublesome organisms worthy of our attention. 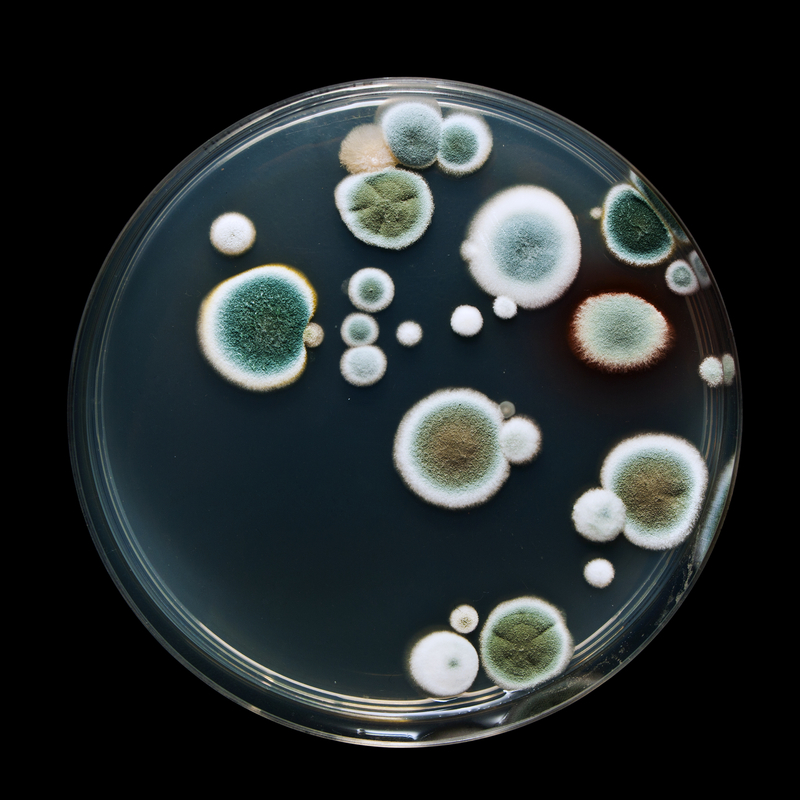 The following section describes key yeast and mold characteristics, features that differentiate them from bacteria, and important considerations to help prevent potential contamination associated with these species. #1. Mold belong to the fungus family and are multi-cellular organisms. Mold contain hyphae, or threadlike filaments, that grow on the surface of food and drinks and multiply through vegetative reproduction. As a result, they are more visible than yeast and common bacteria which tend to grow within food or beverage matrices. #2. Mold cannot undergo the process of photosynthesis to derive nutrition, therefore, they require organic hosts and specific organic matter for such purposes. This need for nutrition is why you often see mold growing on decaying food. #3. Yeast also belong to the fungus family and form a group of single celled organisms that reproduce by a process known as budding. Budding is when a single organism divides into two separate but identical entities. Yeast tend to grow within food and drink matrices. #4. Yeast also require organic hosts to derive nutrition and have the ability to break down carbohydrates and cause fermentation. As a result, most yeast spoilage is detectable as an ‘off’ flavor or through fermentation resulting in gas production in low pH, high sugar, and other easily metabolized carbon food and beverage sources. #5. Mold are aerobic organisms and cannot grow well under conditions where oxygen is limited. Yeast, on the other hand, can grow in aerobic and anaerobic conditions. #6. Acid/alkaline requirements for yeast and mold growth in a wide range food products is quite broad, ranging from pH 2 to above pH 9. #7. The temperature growth range of fungi is 10-35° C, with a few species capable of growing outside of this range. As with pH, this explains why yeast and mold can be present in a wide variety of products. #8. Foodborne yeast and mold require relatively low moisture and can grow at a water activity of ≤0.85. They will out compete common bacteria under the harsh growth conditions of limited moisture and extreme pH. #9. It is not only important to consider the hygienic status of your product and production equipment, but also any containers and packing materials used in the manufacture of your product. These materials, specifically lids, caps, cardboard, plastics, may contain environmental yeast and mold spores, which can contaminate your product. #10. As noted in some of the points above, a wide range of different foods can be spoiled by yeast and mold including, but not limited to: fresh fruits and vegetables, nuts, beans, cereals, meat and dairy products, flour, pasta, bakery products, jams and preserves, soft drinks and alcoholic beverages, confectionary, canned acid foods, cheeses and processed meats. When developing new products, or modifying processing or packaging systems, keep these points in mind and evaluate how processing changes could allow fungi growth and affect the overall quality of your finished product. Crisis Management: Is Your Food Plant Ready?